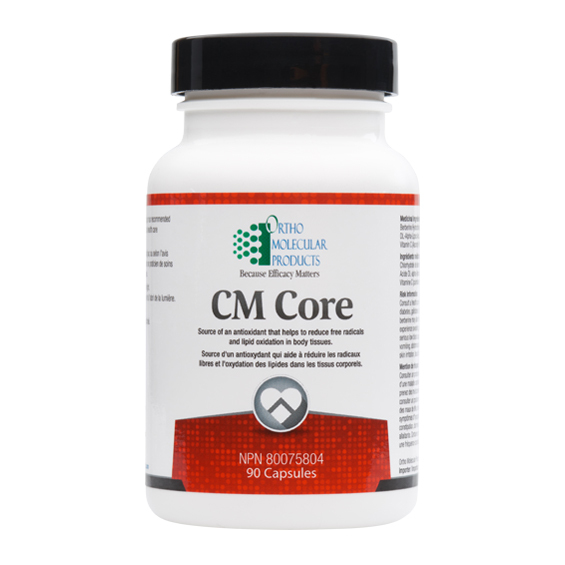 CM Core, a formula back by extensive clinical research, is designed to help maintain the body’s ability to metabolize nutrients. With the addition of alpha lipoic acid (ALA), the formula helps maintain normal antioxidant status in the body. Adults: Take 1 capsule two times per day, or as recommended by your health care practitioner. Consult a health care practitioner for use beyond 3 months. Vitamin C is a water-soluble vitamin not endogenously produced by humans. It functions as an antioxidant in the body, helping to reduce free radicals and lipid oxidation in tissues. In addition, it supports numerous biological functions that play a key role in maintaining optimal health. According to the 2012/2013 Canadian Health Measures Survey, fewer than 3% of Canadian adults had a vitamin C deficiency and the prevalence of deficiency was higher among people who rarely or never consumed citrus fruit (13%). None of those who took vitamin C-containing supplements were deficient. Berberine is a plant extract that has been used in Chinese and Ayurvedic medicine for over 2,500 years. Berberine can be found in the roots and stems of plants such as Hydastatis canadensis (goldenseal), Coptis chinensis (goldenthread), Berberis aquifolium (Oregon grape) and Berberis vulgaris (barberry). Alpha lipoic acid (ALA) provides antioxidants for the maintenance of good health.